Employee of the month: One of the most classic forms of employee recognition out there and in the eyes of many, one that falls flat almost every time. Although the idea of implementing a salon employee of the month program might stem from a desire to inspire positivity and motivation, it can, unfortunately, backfire and undervalue your team’s hard work. As a leader in this already competitive industry, that’s just not something you can afford. In this context, employee retention and engagement is vital. An Award… But At What Cost? Over the years, I’ve created a lot of different programs and incentives to make employees feel recognised for their hard work. Let me tell you this: salon employee of the month programs have their pitfalls and can lead to unhealthy work environments. If you’re not careful, the same person always gets the shine. People who don’t get recognition for their work can easily feel demotivated (Am I a loser if I don’t win? What about my hard work?). How do you measure success? Do you have a new KPI every month? Can you guarantee the motivation of the whole team by having such a program in place? If you make sure that a different employee gets recognised every month, fundamentally, what’s the point of the program? It’s essential to recognise hard work and dedication, but at what cost? Is having an employee celebrated each month the best way to do it? In my experience, it tends to lead to employee competition and a shift in focus (recognition over performance), and so I have yet to find a salon or spa where such a program is implemented successfully. If it’s working for you, please leave a comment or email me about it! It would be really interesting to see what’s out there. A bouquet of flowers or an unexpected gift voucher always has a positive impact on the person who receives it and doesn’t undermine everyone else. Send a newsletter highlighting someone’s fantastic achievement or post an incredible review on social media. In fact, I recently saw a newsletter mentioning that a staff member had passed her exams; I’ll tell you what: as customers, we love seeing that! Encouraging every little positive step is possibly one of the most important aspects of team motivation and will bring high value to those plans that you spent time creating. Remember this: it’s all about consistency! What Should Such A Plan Include? What training do you have planned for the year ahead? Targeted to each staff member’s ability bearing in mind that they will grow month-on-month (within what’s reasonable and good for the business). How will you ensure that your employee becomes impressive at retail sales? 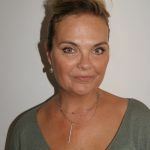 Will you invest in training, soft skills, consultations? As an employer, the more I know about each of my team members, the more I can target their motivation: “If you perform, I will help you with what you truly want.” Think of it as a win-win situation! It is crucial to track your staff’s performance. This part of the plan should be performance related, so we need to track figures and KPIs, but most importantly, give feedback and ensure they continue performing. Meaning that you might, occasionally, have to deal with underperformance. A lot of issues come from when we, as managers, are not consistent with the tracking of employee performance. If the targets are reasonable and achievable, then the expectations are set. From then on, supportive leadership will be the key to ensuring that they become high achievers. 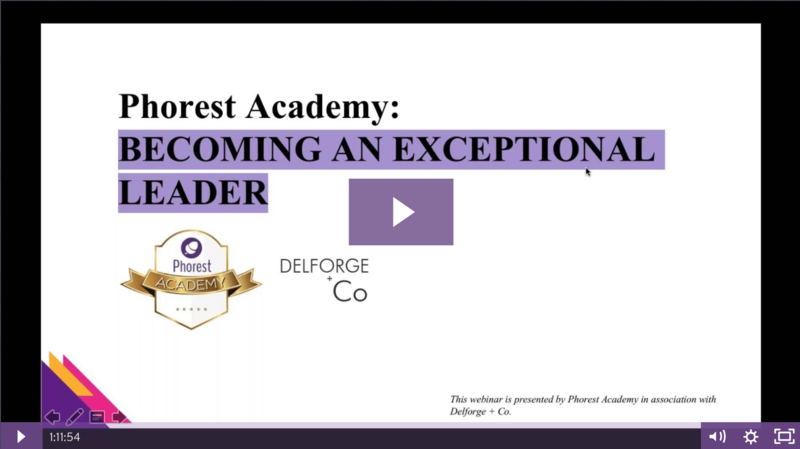 Click the image to watch this on-demand version of the Phorest Academy “Becoming An Exceptional Leader” Masterclass with Valerie Delforge. For those who follow my work as a commercial trainer and coach, you will know that I am obsessed with clear communication. Empower your staff by making them aware of their personal performance; do it in one-to-one meetings. During team meetings, recognise each staff’s hard work and perhaps highlight someone on your team who has had a particularly good month. I call it the cherry on top: make it about an amazing retail sale, excellent customer service, incredible reviews… anything you decide really! Featured imaged shot on location of Matii Salon, in New York City. © 2017 Phorest Salon Software.